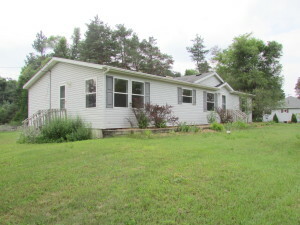 Great home with lots of updates on .71 acres of land. This home features all new flooring including fresh new carpet in living room and bedrooms, new ceramic in kitchen, breakfast nook, and laundry room, and new vinyl flooring in bathrooms. Lots of fresh paint throughout makes this home feel like new! Enjoy the generously sized master bedroom and the wonderful large master bath which includes large soaking tub and separate shower. Three skylights in the home bring in lots of natural light throughout the day. The large pole barn/detached garage is perfect for parking, toys and projects. This home sits on a full basement which is partially finished. Home has natural gas (not propane). North branch schools, including the acclaimed new North Branch Elementary School. Backyard has extra concrete pad and fire pit. Must see inside! Home is super clean and ready to move in!